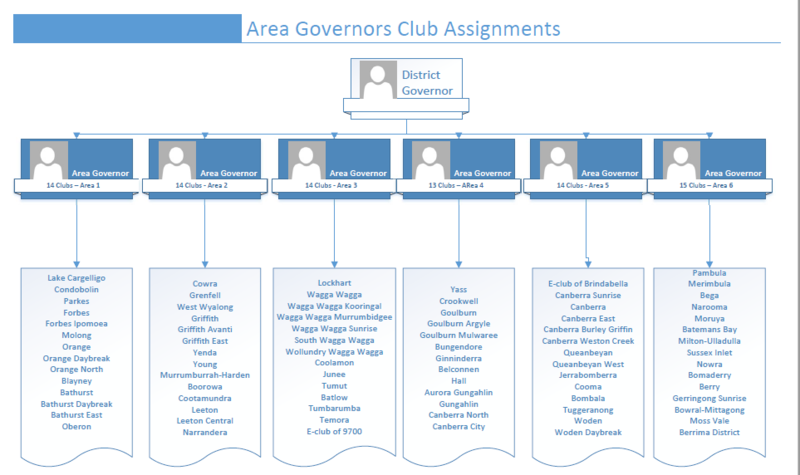 Nominations are being sort for the new District 9705 (combined Districts 9700 and 9710) for the position of District Governor for the term 2021 – 2022 and also for the six (6) positions for Area Governors for the term 2020 – 2021. The terms for Area Governor are being staggered and to facilitate this in the first instance, three (3) of the Area Governors will serve a term of one year and the other three will serve a term of two years. We expect the Area Governors to serve a two year term in the future. The new district will comprise 39 clubs from District 9700 and 45 clubs from District 9710. There will be 84 clubs, with approximately 2362 Rotarians (based on numbers at 30 November 2017). These clubs are expected to be organised into six regions each with no more than 15 clubs, and administered by an Area Governor who will assist the DG in the administration of the District. 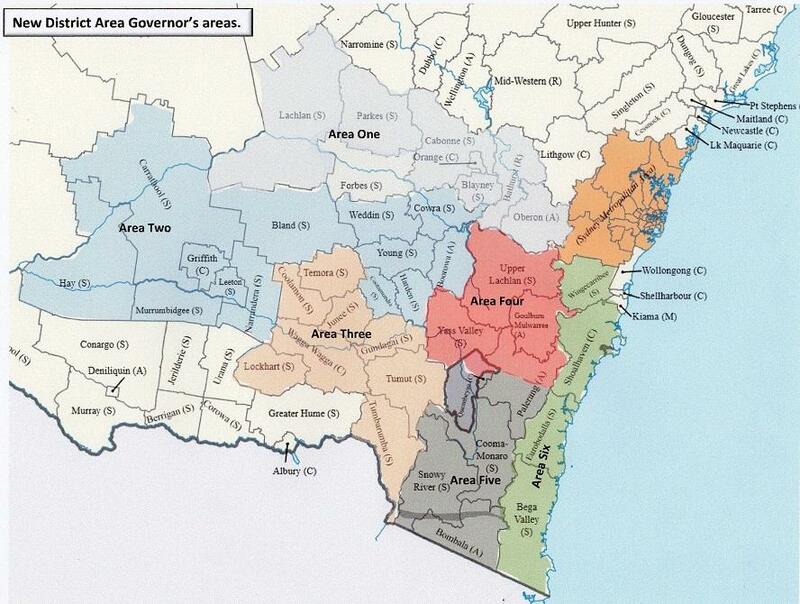 Note: The role of the current Assistant Governor will cease to exist. The District Governor WILL NOT be required to officially visit every club in the District. It is anticipated the DG will visit clusters of clubs as agreed with the Area Governors and the Clubs. (NB: it is important for potential nominees to understand this), as in the past some potential nominees have not nominated because of the difficulty, both financially and in terms of time, for a District Governor to visit every club in the district as was expected in the past. A District Governor must have been a President of a Rotary club, a Rotarian of good standing and have been in Rotary for at least 7 years on the day of taking up office.